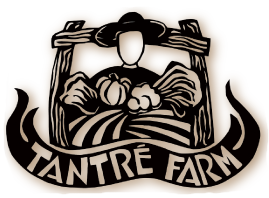 The following list of vegetables and fruits are available seasonally at Tantre Farm. You can see the wide variety that we grow based on this list off our listing from the localharvest.org website. Each hyperlink on the vegetables and fruit will bring you to a description and some recipes on the Local Harvest website. If the links don’t work sometimes off our website, just go to www.localharvest.org and search for Tantre Farm directly, and when you find this list they will bring you to photos, descriptions, and recipes. These items do change slightly from year to year, but for the most part this is “what we grow”.